Blackish, a show about an upscale black family and their children, has spawned the spinoff series Grownish, that follows actress Yara Shahidi and her relationships with a quirky group of friends. The d?j? vu that has become such a big part of this television season continues. Along with the new versions of ?Hawaii Five-0,? ?MacGyver? and ?Dynasty,? coupled with the returns of ?Will & Grace,? and ?Roseanne? comes the new Freeform comedy ?grown-ish.? It?s not an exact revival, but the spinoff of ?black-ish? is very similar to another big spinoff that occurred in 1987. The show about at an upscale black family and their children has spawned the spinoff series ?grown-ish? starring Yara Shahidi. ?black-ish? has been a massive hit for ABC since it launched in 2014. The show about at an upscale black family and their children has spawned the spinoff series ?grown-ish? 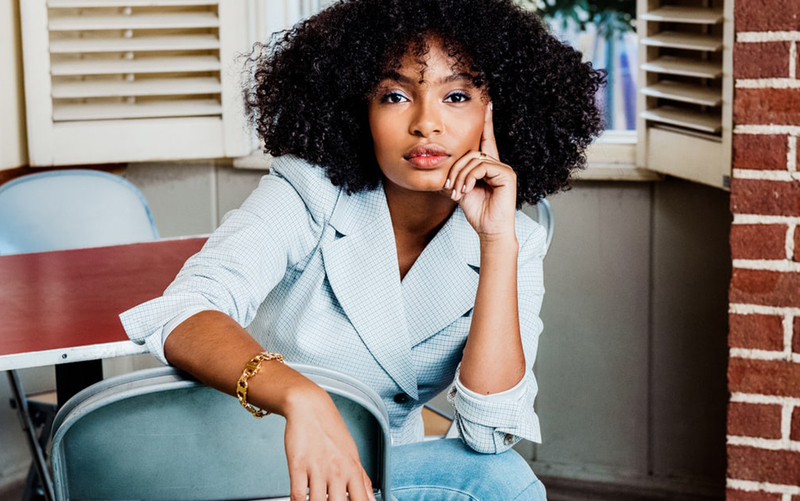 starring Yara Shahidi. The premise of the comedy is Shahidi?s character of Zoey Johnson has gone off to college, and stories will revolve around her relationships with a quirky group of friends. ?grown-ish?as compared to ?The Cosby Show? spinoff series ?A Different World? Flash back 30 years. It was ?The Cosby Show? that became a massive hit with its launch in 1984. That show about at an upscale black family and their children spawned the spinoff series ?A Different World? starring Lisa Bonet. The premise of the comedy was Bonet?s character of Denise Huxtable went off to college and stories revolved around her relationships with a quirky group of friends. Where Bonet shared the small screen with Jasmine Guy, Cree Summers, Kadeem Hardison and Sinbad, the supporting cast for Shahidi includes: Trevor Jackson (?American Crime?) as Aaron Jackson; Jordan Buhat (?Summer of ?84?) as Vivek Shah; Emily Arlook (?The Good Place?) as Nomi Segal; Francia Raisa (?The Secret Life of the American Teenager?) as Ana Torres; Chris Parnell (?SNL?) as Dean Parker; and Deon Cole (?black-ish?) as Charlie Telphy. It?s the supporting characters who will be the biggest determining factor as to whether or not ?grown-ish? is a hit. Shahidi?s character on ?black-ish? is very likable, but she was cast as the straight guy for the craziness of the family provided by Anthony Anderson, Tracee Ellis Ross, Laurence Fishburne, Jenifer Lewis and Marcus Scribner. Even the youngest members of the cast ? Miles Brown and Marsai Martin ? got more funny lines that Shahidi. ?grown-ish? has a different comic rhythm than ?black-ish? as the humor has been pulled back and the interaction of the characters gets more attention. That shift works because the series is airing on Freeform, where the programming is aimed at a young teen audience that will be able to relate to this college-based production. Despite the slight pull back in comedy, Shahidi will have to continue her role as the center of the comedy universe as the popular, entitled, stylish and socially active Zoey, while those around her provide the majority of the comedic moments. Much of that humor will come from Parnell, as he offers up a fun absent-minded professor, and Cole, whose character from ?black-ish? is the only other full-time transplant. Casting Cole as a college professor opens the doors for some very bizarre classroom antics. The driving force will fall to Shahidi, and the young actor is more than capable enough to handle the pressure. She?s found a way to make a character who is so wrapped up in issues and fashions worth the viewer?s time and attention. Part of it is the same kind of sweetness that was written into Bonet?s character so many years ago. Both young women end up being strong while still being vulnerable enough to make people care. And as Bonet had her Jasmine Guy, Shahidi has Francia Raisa, who plays Analisa Torres, a first-generation Cuban-American raised in Miami with staunch Republican views who is Zoey?s roommate. There?s a lot of potential in what these two will be able to bring to the show. This can all be seen when the series debuts at 8 p.m. Eastern Jan. 3 on Freeform with a two-episode event. How successful ?grown-ish? is compared to ?A Different World? depends on your measurement. If Shahidi stays with the series through the first full season, then she?s done better than Bonet, who was written out of ?A Different World? during the first season. But, ?A Different World? went on for a six-season run even without Bonet. The way television keeps repeating itself, the odds look good-ish for ?grown-ish. ?